Note: Camp is closed Thursday, July 4th. If your daughter loves basketball, let her shoot for the stars by attending the Girls Basketball Camps at Hofstra University this summer. Is your young athlete looking to develop her game and refine her skills? 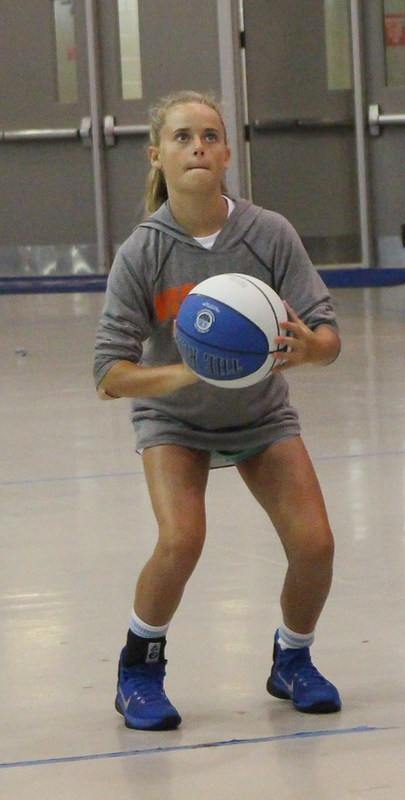 We put focus on the fundamentals -- and our campers have fun focusing on it! In fact, basketball fundamentals are taught, demonstrated and drilled every day. Your child will receive expert instruction in shooting techniques, dribbling, passing, agilities, rebounding, footwork, fundamental stations and so much more. We provide individual coaching and group instruction as wells as 5-on-5 games and supervised competition. Campers are grouped according to their level of ability and every child is encouraged to excel and reach her maximum potential. Hofstra’s Summer Camps Are Acclaimed For Good Reason! For our Girls Basketball Camps, the Hofstra University Women’s Basketball team will demonstrate techniques and help develop campers’ individual and team skills in a fun, supportive and positive environment. We encourage all participants to become better basketball players by improving fundamental skills and learning what it takes to be reach next level. Girls Basketball Camp utilizes the university’s state-of-the-art, air-conditioned David S. Mack Sports Complex basketball arena indoor and outdoor basketball courts, premiere dining facilities, indoor heated Olympic-sized swimming pool, and fully equipped infirmary staffed by registered nurses. With expert instruction and a motivating, positive learning environment, Hofstra Summer Camps provide the ultimate opportunity for learning skills and gaining confidence while having fun and making friends. Don't miss the opportunity to become a better basketball player by developing and improving fundamental skills of the game in a fun, competitive, instructional environment. Remember, THE SEASON NEVER ENDS!